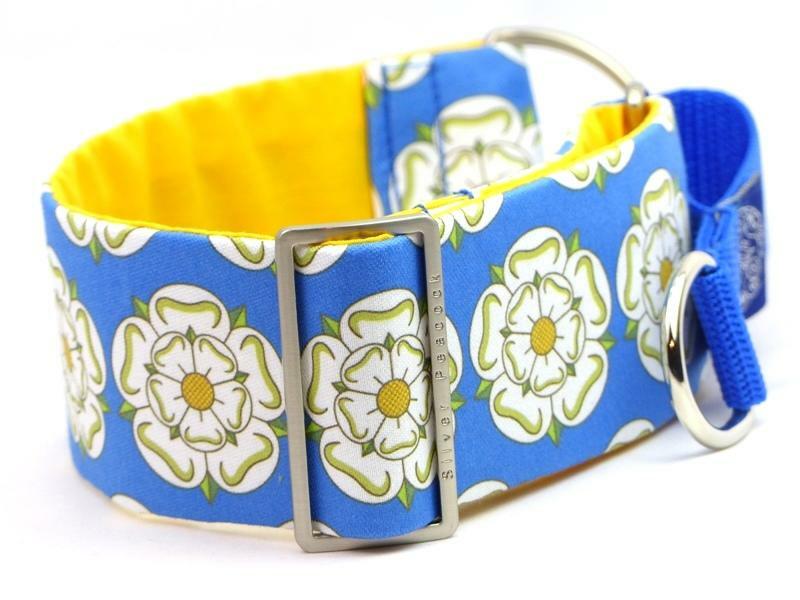 This collar will need no introduction for thoses in "God's own county"! All our products are VERY proudly made in Yorkshire, and it's very much our home so we thought it about time we celebrated that. The design is printed on high quality 100% cotton sateen giving a subtle sheen to the fabric. 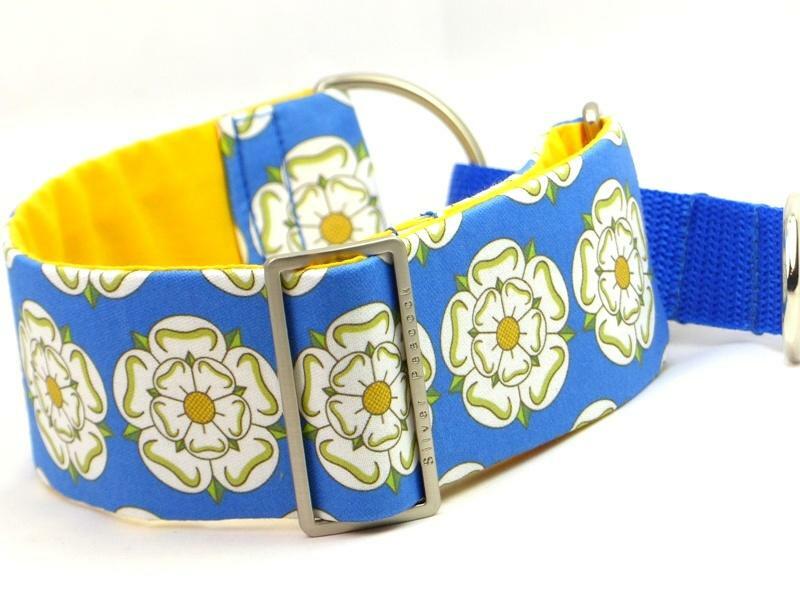 The Martingale version will be made with the large scale version of the design, and the house collars the smaller one unless you ask us to do otherwise (although the largescale version is too wide to really look good on house collars). 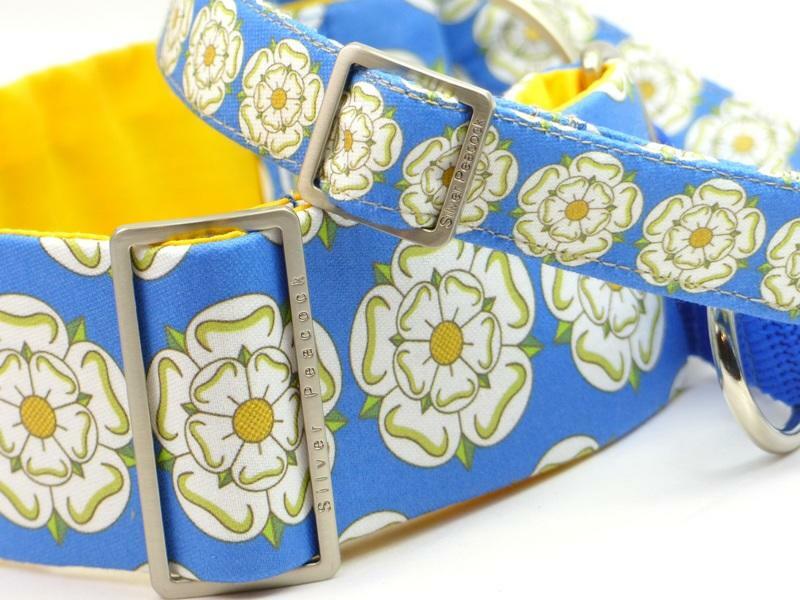 The collar is lined in complementary "Yorkshire Yellow" and is finished with rour signature metalwork. The martingale has a Royal blue webbing section.